We are so proud that Sawmill's Grill 71 is home to great service, really good food, and a welcoming family atmosphere. The restaurant, which is open to the public, is a destination for golfers and the local community. You’ll enjoy great food and drinks with excellent views over the course and surrounding gardens. Sawmill has 9 items on tap including Oast Barnraiser, Kame & Kettle IPA, Silversmith Black Lager, Triple Bogey, Moosehead, Ironwood Cider, Coors Light, Coors Banquet, Rickard's Red. Our tall boy can selection can't be beat with craft selections including Bench's Ball's Falls Session IPA, Thornbury Pick Up No9 and Beau's Lugtread. Favourites of Triple Bogey, Moosehead, Coors Light, Cracked Canoe and Canadian and also on hand. Our private label Sawmill Red & White Wines are made by Vineland Estates Winery and other wines are local from Fielding, Vineland Estates and Henry of Pelham. Friday's at Sawmill are the place to be!! We feature our Friday Night Fish Fry and Summer Music Series (the 2019 music line-up will be posted in spring). On a sunny day, sit back and relax on the newly covered patio. Grab a bite to eat or sip a cold drink beside the beautiful gardens. You can also enjoy grilled burgers, hot dogs and sausages from The Gazebo BBQ on the weekends. The dining room and bar can cater to groups of up to 140 people for golf events. Please visit the Tournament page for more information and contact us today to book your outing. 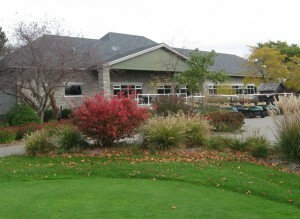 Grill 71 is open daily throughout the golf season, weather permitting. We open for breakfast at 8am Monday to Friday and at 7am on weekends and holidays. Lunch is served daily. Kids welcome!!! We recommend you make a reservation for groups of 8 or more. Please contact Carrie by phone at 289.213.2555 or by email at carrie@sawmillgolf.com.